We take a look back at just some of the recent developments in the social media world over the past month, and look at how they might impact your approach to social. Without question, one of the most exciting social media developments of June was Twitter’s new Dashboard app. 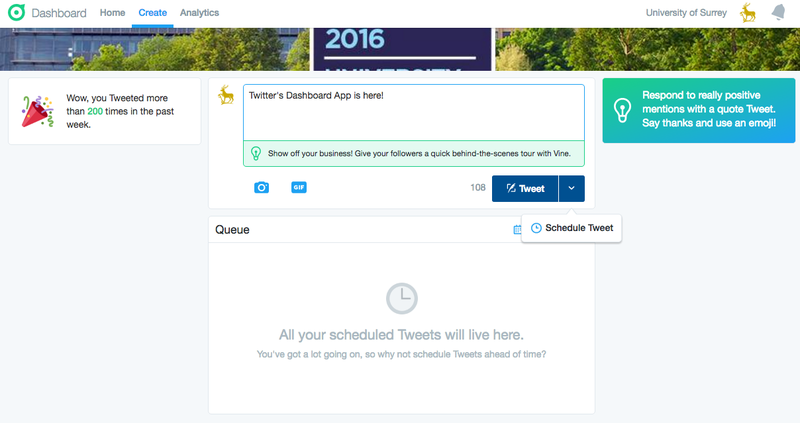 Their latest tool is one of the very best changes Twitter have implemented in 2016. It completely negates the need for the free tiered third-party social tools, offering basic analytics, scheduling and even listening functionality. We look at it’s launch and potential ways you can make the most of it in our previous blog post. In the world of social media, video is becoming an increasingly bigger deal. Twitter is no exception! It’s becoming central to the real-time conversations happening on the channel – according to Twitter, video Tweets have increased by over 50% since the beginning of 2016. Users love watching the timely, important, and funny video content that’s shared every day. Therefore, it seemed only a matter of time until Twitter followed in the footsteps of Instagram and increased the maximum video length – and this month it’s happened. I’m looking forward to seeing the impact this has on video consumption on Twitter. The change somewhat goes against Twitter’s ethos of brevity, but the problem Twitter’s seeking to address is that people have simply not been able to communicate all they want to within the 30 second time constraint. And another element of Twitter’s video update is a new ‘Watch Mode’ within Twitter that will highlight similar content to that which you’re viewing in order to boost on-platform video consumption. June saw professional social network LinkedIn’s acquisition by Microsoft as part of a $26.2 billion sale. This is an interesting development for not only Microsoft and LinkedIn, but also the ‘smaller’ (or non-Facebook owned) social networks such as Twitter; Twitter shares jumped by 8% following the acquisition. According to Mashable, Mark Suster, a venture capitalist, likened LinkedIn’s stock collapse in February to the bankruptcy of Lehman Brothers in 2008, which set off a chain reaction on Wall Street. 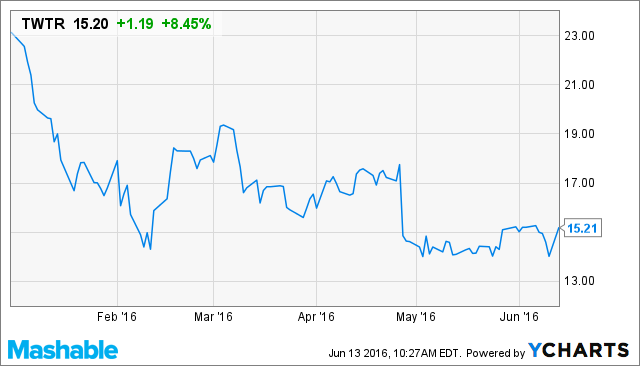 “I wonder whether LinkedIn’s stock market plunge in February 2016 might have a similar effect,” he wrote at the time. It seems as though it may have done – a few months later and the idea is increasingly less extreme. In terms of LinkedIn itself, this could be an interesting move. When considering Microsoft’s previously dalliance into social media (remember Yammer? ), could it be that Microsoft would look to take on ‘Facebook at Work’ and in some way combine the two products? Have you spotted any 360 photos on Facebook over the past couple of weeks? This month Facebook introduced support for 360 photos, an immersive photo that allows you to view it from all angles. With 360 photos your friends, family or follows / fans can feel part of the moment without actually being there. You can either use a 360 camera app, or on a more basic level Facebook will transform your panorama shots too. One of the key elements of Facebook is that once you post content, it’s forever there on your timeline for everyone to see. Facebook have been experimenting with ways to combat this, offering users the ability to create posts that will appear in the News Feed only. This means that once their organic ‘life’ is over, it’ll be harder for this content to be found again and it won’t permanently be attached to your timeline. When you add this to the announcement that Facebook were experimenting with ‘self-destructing posts’ a few months back, it demonstrates just how serious they consider the Snapchat threat to be. Live video is now available for all users, and Facebook is keen to make this a prominent feature. Snapchat already offer the option for users to view live videos / stories from key global events, and Facebook are now making it easier for you to view and discover live videos from around the world. One of the most popular features of Snapchat is the ability to write, draw and add stickers to images created in the app. 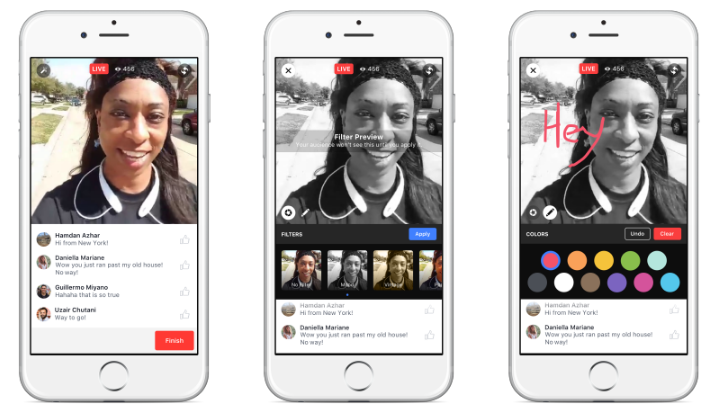 Facebook have recently added the functionality to allow users to write and draw over their live video – although I’m not sure how widely this will be used, it’s an interesting move and definitely has a strong ‘Snapchat’ feel to it!